Children with gastrointestinal conditions need specialized care from an experienced pediatric gastroenterology team. Our doctors work with each patient to observe their eating behavior, watch parent-child interaction and make referrals to other feeding programs, if needed. We can also give advice about developmental eating and feeding stages, such as how to introduce new foods. We will keep you updated on your patient and our impressions and recommendations. To make a referral to the IEAT program, please complete one of our referral forms below. Our team is highly experienced with motility problems in children. We will make a treatment plan tailored for your patient’s needs. We will take this data and go through an intensive chart review prior before your patient’s appointment to ensure we provide the most efficient and effective visit possible. We may ask your patient to go through additional testing before being seen in clinic. To make a referral to the Motility Program, please complete one of our referral forms below. 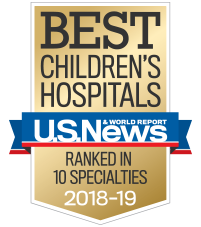 Our program embraces a multidisciplinary approach to pediatric pancreatic care, incorporating a broad range of expertise, from a gastroenterologist specializing in pediatric pancreatology to a surgeon skilled in complex pediatric procedures. Our team also includes endoscopists with expertise in endoscopic retrograde cholangiopancreatogram (ERCP), pain specialists, endocrinologists, radiologists, pathologists, psychologists and dieticians. Our specialists are involved in nationally recognized research, as well as developing national and international pediatric guidelines for acute and chronic pancreatitis. Please email pancreas@choa.org to make a referral or learn more.